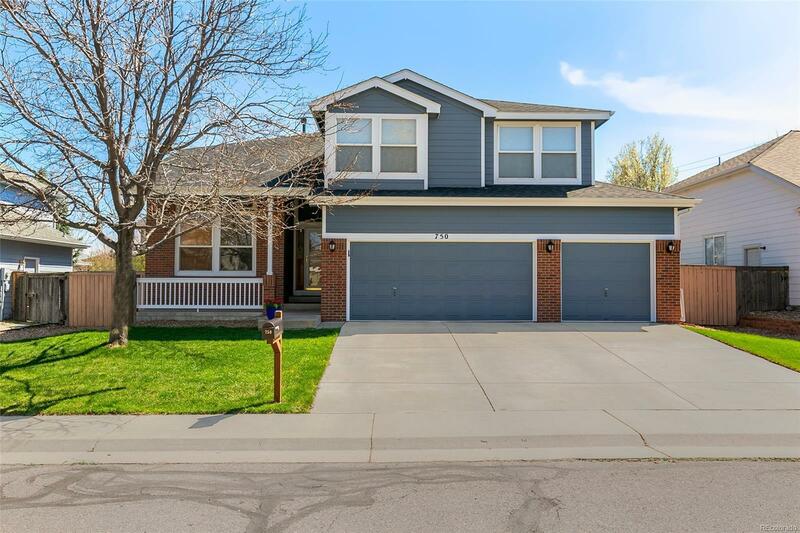 Beautifully updated home in coveted Meadows at Coal Creek! The charming front porch is just the start of the details you will love about this home. Enjoy the hardwood floors and natural light throughout the flowing layout. As you enter you are greeted by an elegant curving staircase, beautiful formal living room and a stately home office. An updated kitchen with all new appliances including refrigerator, microwave, oven, cook top, and dishwasher, opens to the the formal dining room and family room featuring vaulted ceilings and gas fireplace. Upstairs is a large loft, guest bathroom and 3 bedrooms including the master bedroom with 5-piece en-suite bath. The finished basement is where all of your guests will want to hang out and includes a beautiful wet bar with wine cooler and fridge, pro billards table, theater room area, bedroom and bathroom. Spacious fully fenced backyard with patio, garden area and large lawn. All new in 2018: roof, gutters, exterior paint, & west facing windows.